We hand-pick every product on the site, so when you click links, we may earn money to support our process. An exciting new way to shop for your ski gear, sourcing the most popular brands, from the most respectable sellers online. 100s of ski goggle and ski helmet colors, and styles, narrowed down to a one-stop superstore, powered by technology, not inventory. 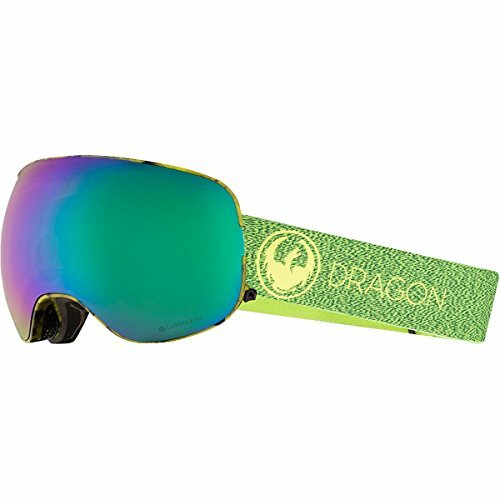 The future is here and it’s arrived in the form of the Dragon X2 Goggles with Bonus Lens. Changing the game with insanely functional versatility, these goggles feature the simpler and more robust locking mechanism, Swiftlock, to make swapping lenses faster, easier, and more secure than ever before. It’s so easy, you can even do it without even having to take the X2s off of your face. Essentially frameless, the X2s deliver superior peripheral vision with distortion-free clarity through their high-quality, injection-molded polycarbonate lenses, letting you spot the end of the rail you’re currently backlipping with unrestricted vision. Don’t worry about fogging up your downright vast field of vision, the X2s’ lens has a Super Anti-Fog coating, undirectional airflow system, and armored frame ventilation to ensure that you’re seeing clearly even after the most demanding bootpack hike. The triple-layer face foam offers up an ultra-comfortable, breathable fit through multiple layer densities, while the Polartech microfleece lining serves up hypoallergenic, moisture-wicking functionality when in contact with your face. Proposition 65 Warning for California Consumers: This product contains chemicals known to the State of California to cause cancer and/or birth defects or other reproductive harm. Certain content that appears on SkiShopX.com comes from Amazon Services LLC. This content is provided 'as is' and is subject to change or removal at any time. SkiShopX.com is a participant in the Amazon Services LLC Associates Program, an affiliate advertising program designed to provide a means for sites to earn advertising fees by advertising and linking to amazon.com. All trademarks and images are the property of their respective owners, who may or may not be affiliated with, connected to, or sponsored by this website. Copyright © 2014-2019 Sync Internet Marketing, LLC. Ski Shop X is owned and operated by Sync Internet Marketing, LLC.